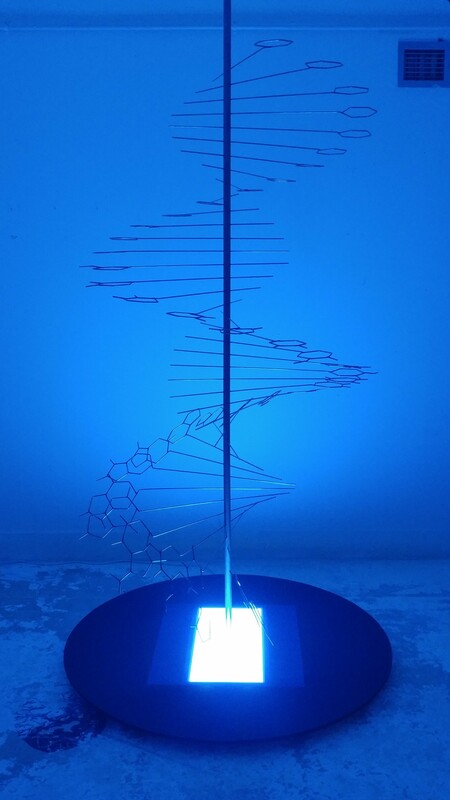 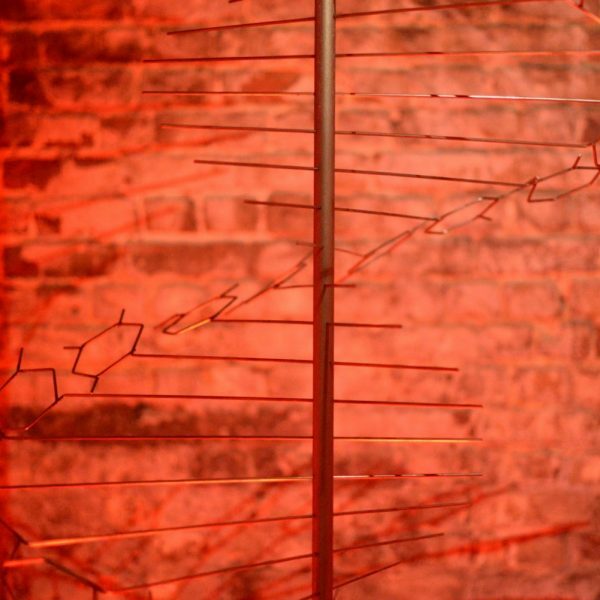 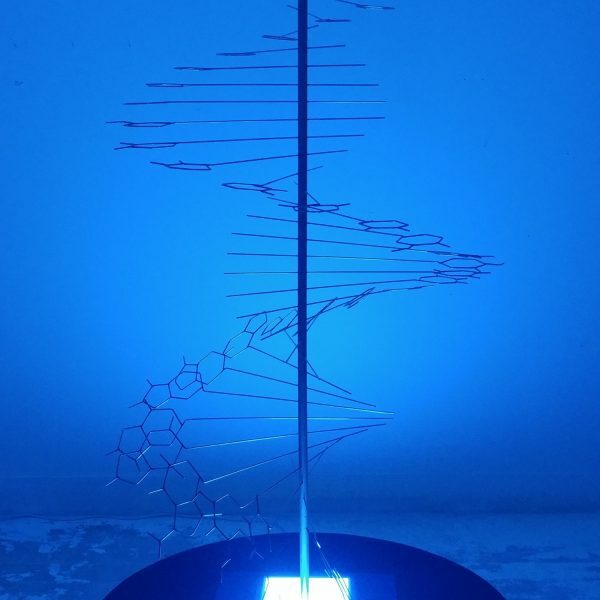 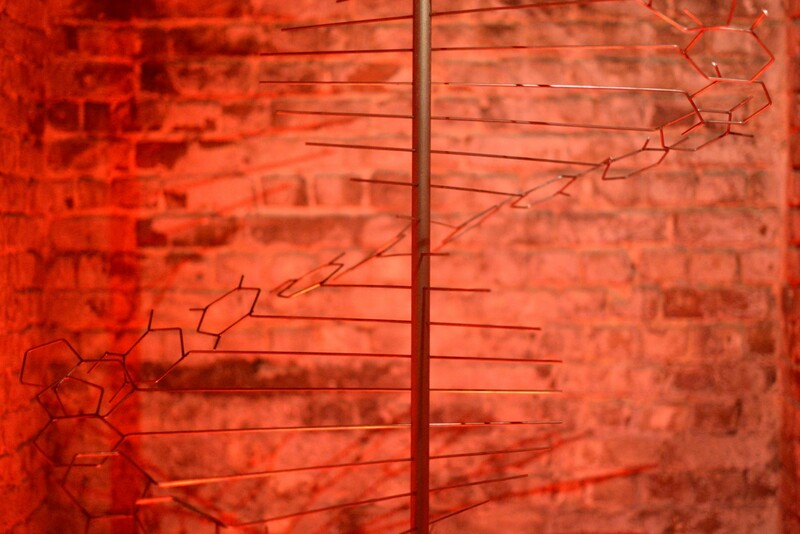 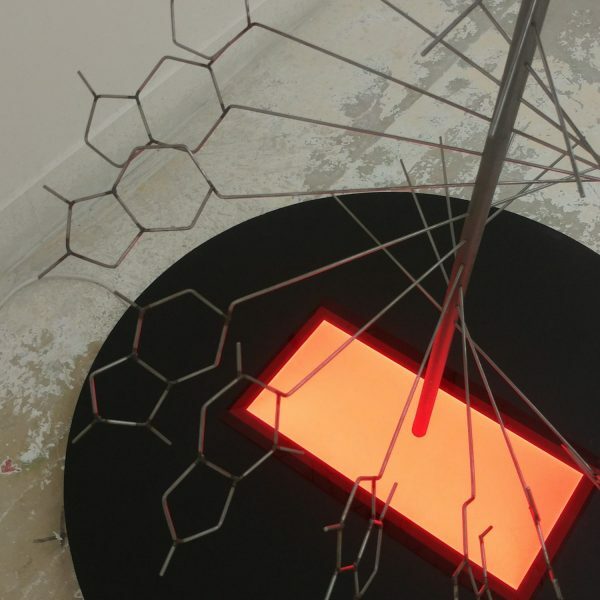 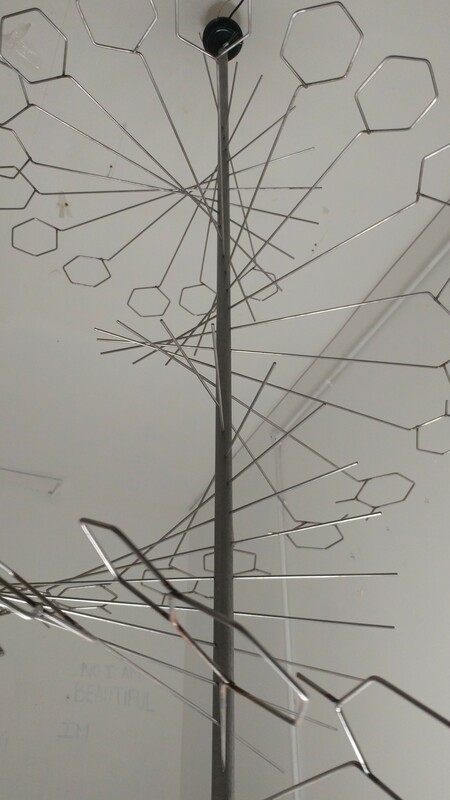 1001insJ is a kinetic sculpture created in collaboration with Julie Light, inspired by the Crick and Watson models for the double helix structure of DNA. 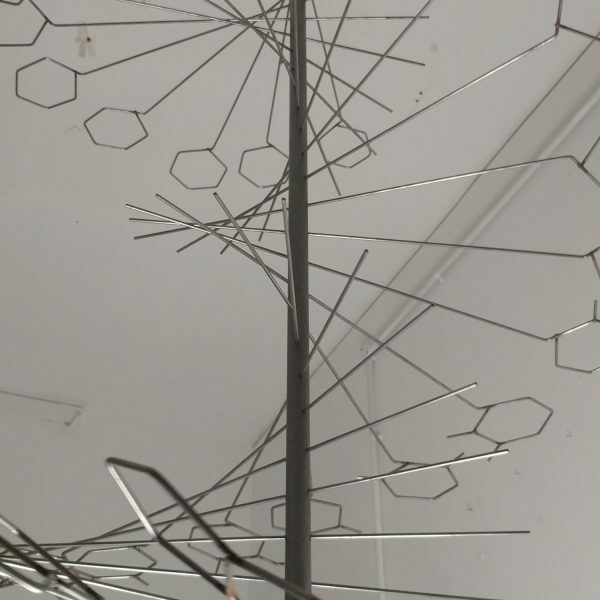 We bent and soldered hexagonal structures from steel rods to begin the spiral, and altered the shapes as the helix progresses down and around the central 2-meter-high pole, breaking them up into a completely different—mutated—shape. 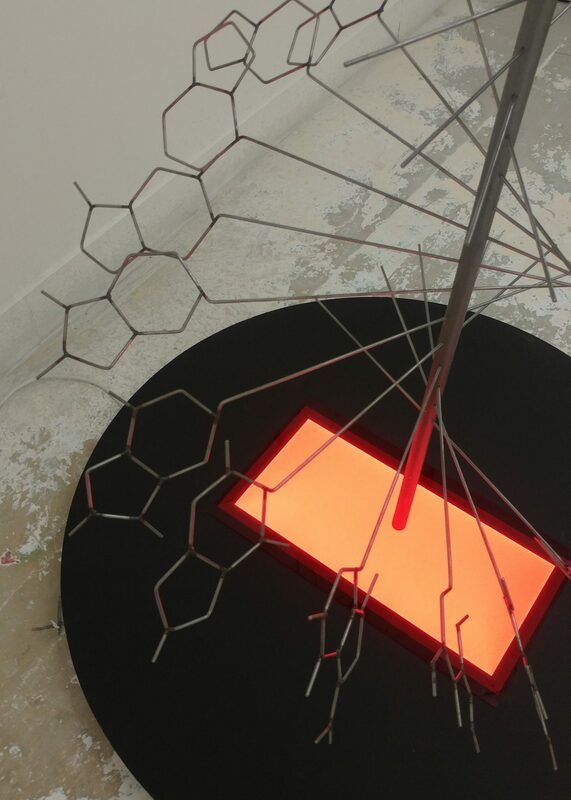 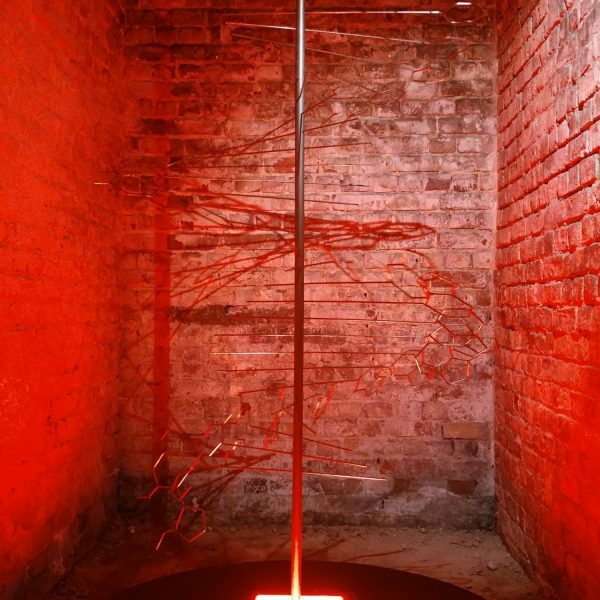 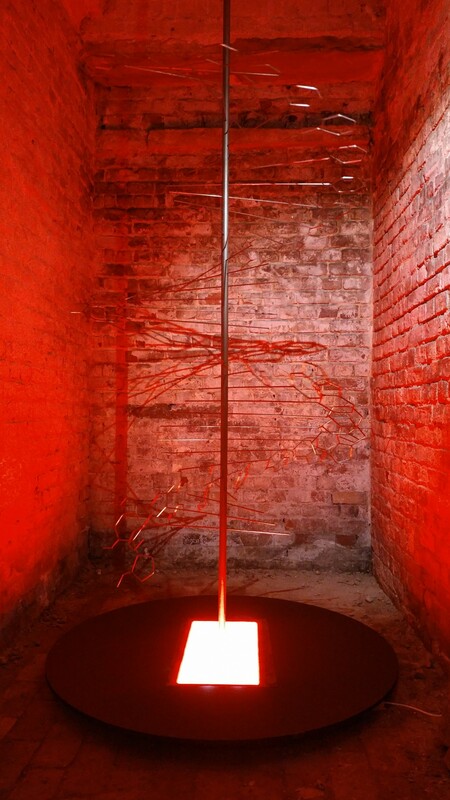 The piece slowly spins on a motor and hovers above a base that can be lit with colour.